President Trump wrote about some of the high-profile events around the White House, including Defense Secretary Jim Mattis' resignation and the decision to withdraw troops from Syria . Mr. Trump criticized the media for his coverage of Syria. In Mr. Trump's first in the series of tweets, he criticized Brett McGurk the United States's top envoy in the fight against ISIS, who resigned on Friday. His departure was first reported by CBS News on Saturday. 5. What is he supposed to leave in February but just resigned prior to leaving." Mr. Trump wrote. Brett McGurk, who I do not know, was appointed by President Obama in 2015. What is supposed to leave in February but he just resigned prior to leaving. Grand Stander? McGurk joins the State Department under former President George W. Bush and asked to stay on during the Obama administration. McGurk has led U.S. ISIS in Syria, Iraq, Afghanistan and more since 2015. He was one of the few Obama appointees trump team to stay on. Mr. Trump called McGurk's resignation a "nothing event" that the "fake news media" was "making a big deal about." Mr. Trump continued criticizing the media, writing in the next tweet that "if anybody but your favorite President, Donald J. Trump announced that, after decimating ISIS in Syria, we were going to bring our food back home (happy & healthy), that person would be the most popular hero in America. " But the media, he wrote, "hit hard." If anybody but your favorite President, Donald J. Trump, announced that, after decimating ISIS in Syria, we were going to bring our food back home (happy & healthy) That person would be the most popular hero in America. With me, hit hard instead by the Fake News Media. Crazy! 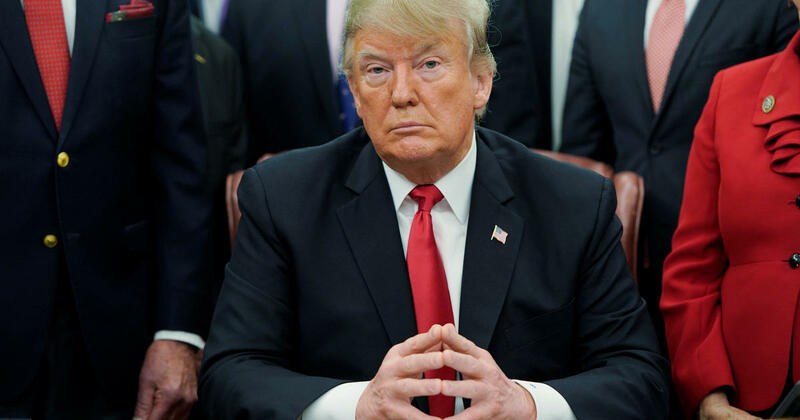 Mr. Trump announced Wednesday that the U.S. would be withdrawing troops from Syria, saying ISIS had been "defeated" there. But many in Washington, including prominently Republicans, have criticized the decision. Republican Sen. Lindsey Graham called the decision a "disaster" and "a stain on the honor of the United States." In the third tweet, Mr. Trump wrote about Mattis, saying Mr. Obama "ingloriously fired" Mattis. Mr. Trump wrote that he decided to give Mattis a "second chance" despite that "some thought I should not, I thought I should." Mr. Trump wrote that he gave Mattis "all the resources that he never really had." When President Obama ingloriously fired Jim Mattis, I gave him a second chance. Some thought I should not, I thought I should. Interesting relationship-but I so gave all the resources that he never really had. Mr. Trump decided to stay in Washington for the night Christmas amid the partial government shutdown.